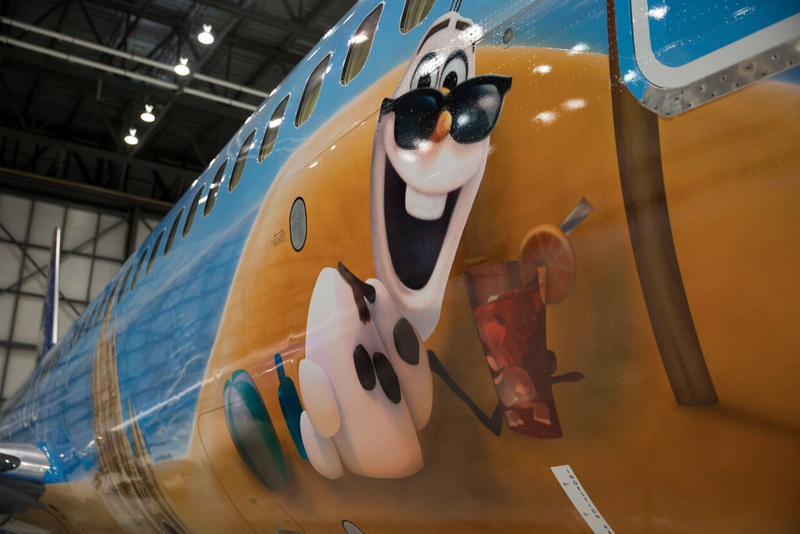 Rewards Canada: WestJet's Disney Frozen themed plane - Disney magic inside and out! 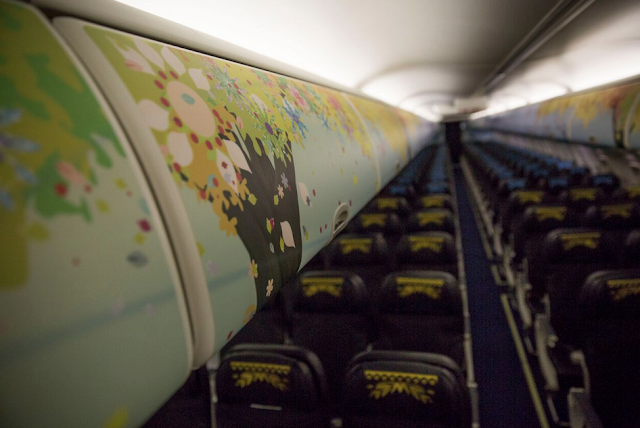 WestJet's Disney Frozen themed plane - Disney magic inside and out! We mentioned in our October 16th update that there was to be news about a new initiative coming from WestJet and Disney on Sunday October 18th. 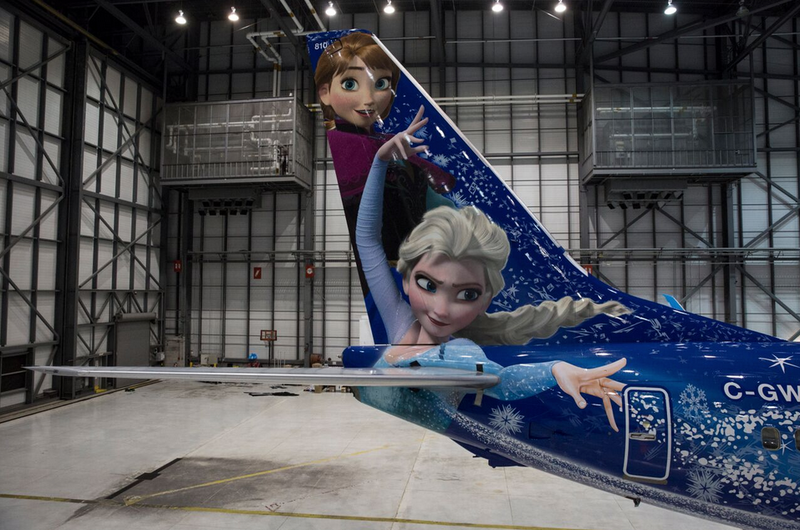 If you've watched the news or been online in the past 24 hours you'll more than likely know that the new initiative is the WestJet Disney Frozen themed plane. 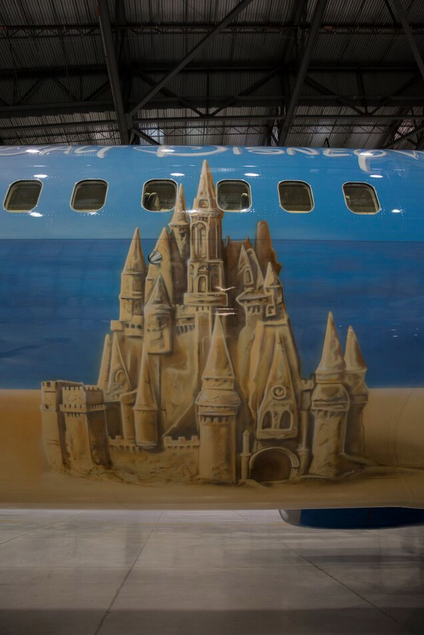 This is the second plane is WestJet's fleet to be painted in a Disney theme, the first being the Magic plane featuring Sorcerer Mickey. This newest themed plane goes even further than just painting the outside of the plane as the interior also is Frozen themed with head rest decor, the overhead bins being painted, bulkhead walls and lavatory mirror treatments. When you move along the plane if goes from frozen in the front to warm Olaf beach scene in the back. The crew used 643.5 litres of paint consisting of 23 colours -- five for the umbrella alone. 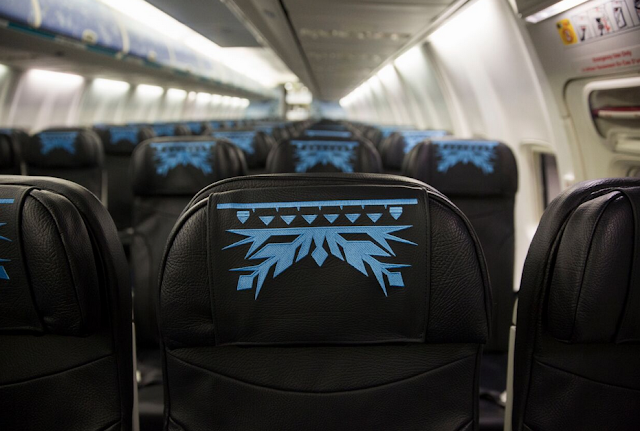 The inside of the aircraft has decals and headrest covers that mimic the cold-to-warm (back-to-front) theme on the outside of the aircraft. Several dozen bagels were consumed during the painting of this aircraft (there weren't any doughnut stores nearby). The crew drank more than 100 litres of sweet tea. 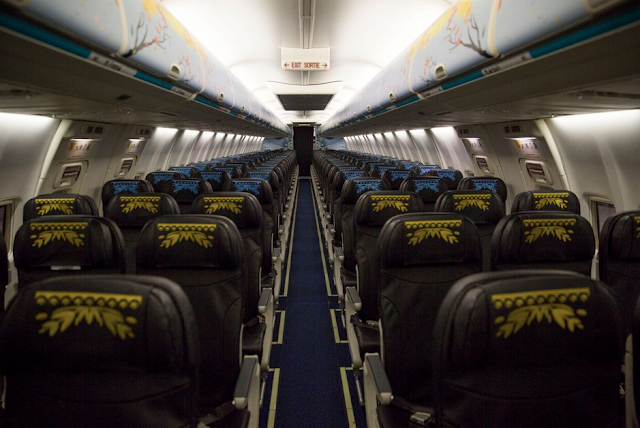 The plane will be utilized all over WestJet's route network so there is great likelihood that many WestJet travellers will get to experience this new themed plane. More photos and videos of this amazing new theme can be found here.